The Gambinos--they arrived in America from Sicily when the '20's roared with bootleg liquor. For thirty years they fought a bloody battle for control of New York's underworld to emerge as the nation's richest and most powerful crime family. 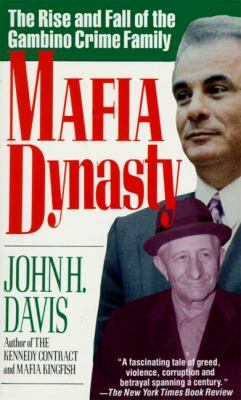 Now Mafia expert John H. Davis tells their compelling inside story. Here are the chilling details and deceptions that created a vast criminal empire. Here are six decades of the uncontrolled greed and lust for power of such men as Lucky Luciano, Frank Costello, Meyer Lansky, Vito Genovese, Albert Anastasia, Carlo Gambino, Paul Castellano, and John Gotti--men for whom murder and betrayal were business as usual. From the Gambinos' powerful stranglehold on New York's construction, garment, and waterfront industries to the government's onslaught against them in the '80s and '90s, Mafia Dynasty takes you into the mysterious world of blood oaths, shifting alliances, and deadly feuds that will hold you riveted from the first page to the last.Davis, John H. is the author of 'Mafia Dynasty The Rise and Fall of the Gambino Crime Family' with ISBN 9780061091841 and ISBN 0061091847. Loading marketplace prices 1010 copies from $0.51 How does the rental process work?